Water heating is one of the most expensive parts of your energy bill, but unfortunately, your electric company probably hasn’t opted to tell you this. By reducing your hot water usage, you not only lower your energy bill, but you also lower your water bill and ultimately help out the environment. These are five ways you can reduce your water heater’s energy consumption. To begin seeing noticeable savings, start paying attention to how much water you’re using with each load of laundry. Rather than turning the appliance on with the default setting, use the dials or buttons to specify the size of the load, how much water to use, and what type of cycle to run. Using cold water for laundry doesn’t mean your clothes will come out any less clean once the cycle finishes. However, you will find that you can save up to 100kWh on each energy bill by using this tip. This amounts to almost $50 per year. 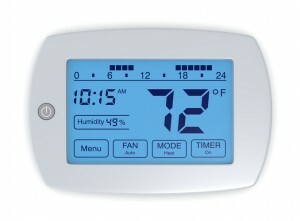 Most water heaters come with default thermostat settings at 140 degrees. Not only is this too much, but it can also scald in some cases. Lower the thermostat to 120 degrees. If your dishwasher or clothes washer models are older, check with their manuals to ensure that they will be able to operate with water at 120 degrees. Some models require the temperature to be hotter. There’s nothing wrong with loading your dishwasher over time rather than all at once. If you don’t have a full load once you’re finished loading dishes, hold off actually running the machine until you have more dirty dishes to load. Additionally, it helps to skip out on the pre-rinse altogether and go with the economy or energy savings cycle. Pairing this tip with the other can help you reap some serious savings in the long run. Lastly, begin moderating how much time you spend while taking showers. How many times have you noticed yourself standing around and wasting time while showering? It’s easy to do when you have a lot on your mind or you’re still not fully awake in the morning. Reducing how long you shower by even just a small amount can bring you significant savings on water heating. 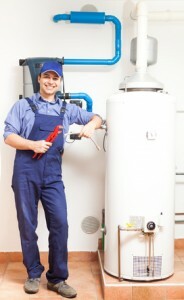 Is the water heater in your Cedar Falls home in need of maintenance? Call Dalton Plumbing, Heating & Cooling Inc. at (319) 266-3513 and schedule a service call today! Don't turn on your AC unit until you do this one thing! 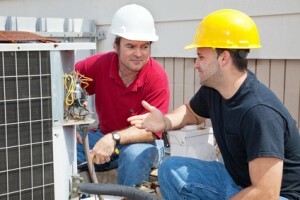 The heating, ventilation and air conditioning unit, or HVAC, in your home is a very important piece of equipment. This means that it needs to be taking care of properly on a regular basis. Proper maintenance of your air conditioner should be performed on a regular basis to ensure optimal performance of the system. This means consistently replacing the air filter in a timely manner. Not doing so can cause some significant problems with the air conditioning unit. Not changing the air filter in your home in a timely manner can lead to a build up of dirt, dust and other types of debris. This stuff can float through the ventilation system in your home and can cause problems with you or your family’s respiratory system. 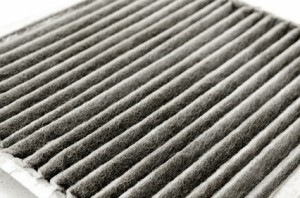 Changing the air filter in your home in a timely manner will ensure that the air filter stays clean and free of debris. This will lead to cleaner and more breathable air in your home. Changing the air filter in your home in a timely manner can also save you money on your monthly energy costs. This is because a clogged air filter does not allow air to flow through it as easily as if it were clean. This means that the air conditioner has to work harder in order to produce the same kind of results. Changing the filter will allow the air to flow much more easily because there will not be any type of debris or dirt obstructing the air flow. This should in turn lead to a decrease in your monthly energy expenses. Cooler air during the summer months and warmer air during the winter months is another reason you should change your air filter in a timely manner. Due to weaker air flow from a clogged filter, the air cannot flow as easily as it could if the air filter were clean. This means that the air during the cooler months will feel much warmer and the air during the warmer months will seem much more cooler. This is why it is important to change your air filter in a timely manner. Do you need to change the air filter in your AC unit? Call Dalton Plumbing, Heating & Cooling Inc. at (319) 266-3513 and get started today! Immediately improve your family’s health right now! Keeping yourself and your family healthy is a very important thing that every individual has to take into account. Keeping your family healthy can be a very costly and time consuming matter, but there are actually precautions that you can take in order to better insure the health of your family members. One great thing that an individual can do is help their home be healthier. Air and water filtration are both great ways in which to insure a healthier lifestyle. 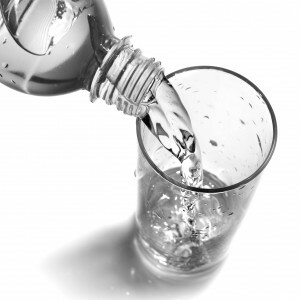 Here in this article we will go over some of the top health benefits of whole house water filtration system. Whole house water filtration may seem like a big thing to undertake, but when you break it down, it is actually quite simple. There are many individuals who have either a water filtration system built into their fridge, or they have a water filtration pitcher ready on hand in the fridge. It is easy to see how individuals would go about filtrating this water, but a whole house water filtration system isn’t that big of a step up from these smaller water filtration systems. Installing a whole house water filtration system is going to be a relatively easy process. The technology has gotten to a point where having a company install this system is relatively inexpensive. The health benefits that come along with whole house water filtration are well worth the time and money invested into this project. 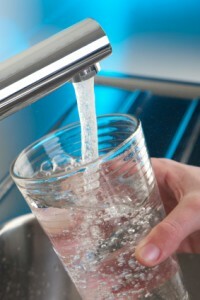 The main reason why whole house water filtration is important is the reduction of chlorine. Reducing harmful chemical in the water is not only better for consumption, but it is easier on the skin during showers and hand washing. It is also better to wash your hair in water that is not as heavily chlorinated, as heavily chlorinated water can damage fragile hair. There are also levels of contaminates and pollutants that get into a water source before it reaches a home. These can come from industrial waste, and dirty river water. It is very important that there is filtration in order to remove these microscopic contaminants. There is a much larger chance for healthy living if all of these contaminants are removed from a water supply before they are ingested into the body. The great thing about a whole house water filtration system is this technology turns your tap water into beautifully clean and uncontaminated drinking water that is healthier for the entire family. Looking to install a whole house water filtration system in your Cedar Falls home? Call Dalton Plumbing, Heating & Cooling Inc. at (319) 266-3513 and start enjoying the benefits of healthier and cleaner water today!